The California Smokers’ Helpline is actively engaged in special projects that are expanding our reach, making it easier for smokers to quit, and producing important research findings. California was one of ten states chosen to participate in the Medicaid Incentives for the Prevention of Chronic Disease Program, created by the Affordable Care Act. These states are studying the use of incentives to encourage Medicaid members to make healthy choices. California’s project is called MIQS, or Medi-Cal Incentives to Quit Smoking. Eligible Medi-Cal members who smoke can receive a $20 gift card to call the Helpline and engage in counseling. They can also receive free nicotine patches sent to their home, in addition to free telephone counseling. Providers throughout the state are actively referring their Medi-Cal patients, and over 30,000 have enrolled through the end of 2014. The MIQS Project has been successful in meeting its goals to provide incentives and counseling services that help Medi-Cal members quit smoking. Read more about this exciting project here. The Helpline has served Chinese, Korean, and Vietnamese speaking callers since 1992, and research has shown that these services are well-utilized and effective. In 2012, the Centers for Disease Control and Prevention (CDC) funded an expansion of the Helpline’s Asian lines. Since then the Asian Smokers’ Quitline (ASQ) has been available nationwide. Asian language callers receive one-on-one guidance, self-help materials, and free nicotine patches sent directly to their home. ASQ is promoted throughout the U.S., and local public health programs are encouraged to help get the word out to their Asian community members. Read more about ASQ here. CEASE California is an innovative program that trains pediatric providers to help the parents of their patients quit smoking. In so doing, they improve children’s health by reducing their exposure to secondhand smoke. CEASE stands for Clinical Effort Against Secondhand Smoke Exposure and was developed by Dr. Jonathan Winickoff at Massachusetts General Hospital. With support from First 5 California and the American Academy of Pediatrics, CEASE California is actively recruiting pediatric practices and training them on how to implement this program in their practices. 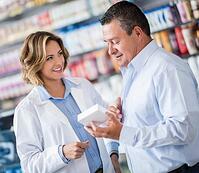 Providers may directly refer the smoking parents of their pediatric patients to the Helpline. 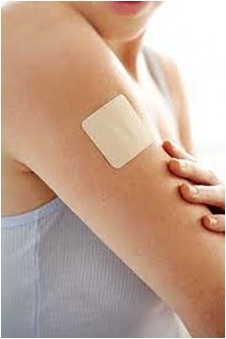 Parents of kids aged 0-5 can receive free nicotine patches sent directly to their home. Read about CEASE California here.